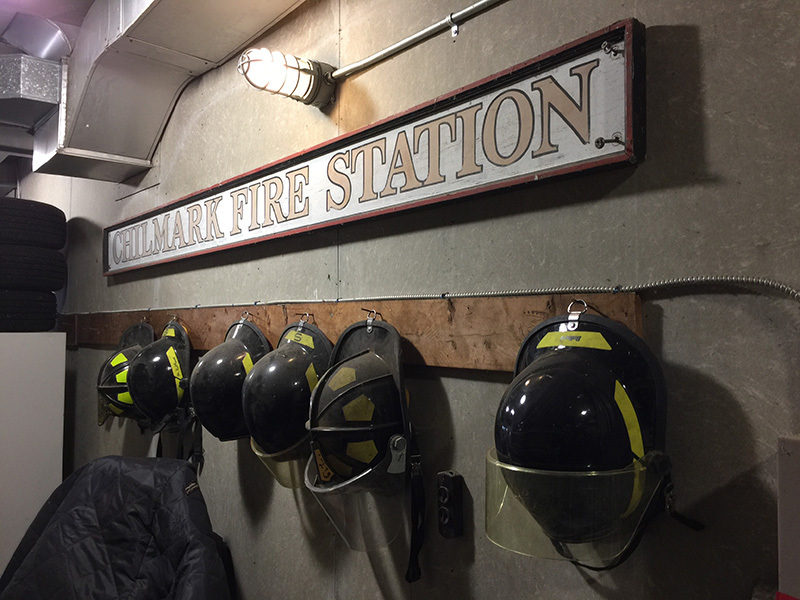 Long slated for replacement, Chilmark’s main fire station suffers from crowded conditions and subpar bathroom facilities. But it’s the asbestos more than anything else that causes many volunteer firefighters and EMTs not to linger in the place, Fire Chief David Norton told The Times. The extent of the problem could be known soon. At a meeting Tuesday night, a week after fire Norton made his concerns public, Chilmark selectmen addressed the possible asbestos issue in the fire station without calling the threat by name. In a unanimous vote, the board authorized chairman Bill Rossi and executive secretary Timothy Carroll to choose one of two contractors that recently gave estimates for a “hazardous materials” survey of the fire station. The town is in the process of picking a location for a new fire station. Rhode Island figured $2,253 for the job. While the best price was important, the selectmen decided the executive secretary’s office should vet the contractors’ credentials as part of the process. 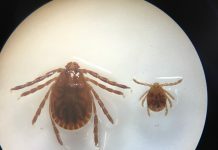 “They’ll have to do some destructive testing of wallboard, roofing, siding, floor tile — anything they think [necessary] — the putty in the windows to hold the glass in,” Carroll said. The furnace, ductwork, and chimney caulking, were also likely to be tested Carroll said. Fresh from taut exchanges with Malkin over a requested pay increase, Chief Norton interjected with a humorous suggestion. “An addition on your house would be great,” he said. Rossi opted to wax optimistic. “It’ll put a lot more urgency into a new building, I’ll say that,” he said. Meanwhile, the Chilmark Firefighters Association has recently begun debate about hiring an independent contractor to survey the fire station for asbestos, firefighter Gary Robinson said. No vote has been taken, he said. Last week, Chief Norton told The Times that when he arrives at the station on Menemsha Crossroad in the morning, he frequently finds a film of dust on the vehicles. He believes it’s asbestos dust from the gray wall and ceiling boards that clad the interior of the bays. Tri-Town EMTs have a strong distaste for being in the building due to the asbestos, the chief said. Tri-Town Ambulance Chief Ben Retmier confirmed that his EMTs do not like working in the building because of the threat of asbestos. Health inspector Marina Lent told The Times that she has not looked into asbestos in the fire station, nor has her office been contacted about it. She referred questions to Carroll, who also serves as the deputy fire chief. Carroll said based on what he was told, the fire station was inspected 20 years ago, and the wall and ceiling boards inside were identified as asbestos. At that time the town was told that so long as the boards weren’t cut or broken, the asbestos wouldn’t be friable, and therefore wouldn’t present a hazard, Carroll said. Friable, in this context, refers to asbestos in a state where it can be crumbled or turned to dust by hand pressure. Building inspector Lenny Jason said he is unaware of any issues with the station. He qualified that by stating that with the exception of popping in to find the chief now and then, he doesn’t recall being inside the station for any length of time since the end of the 1970s, when a house fire call interrupted a cribbage game he was part of inside the station. 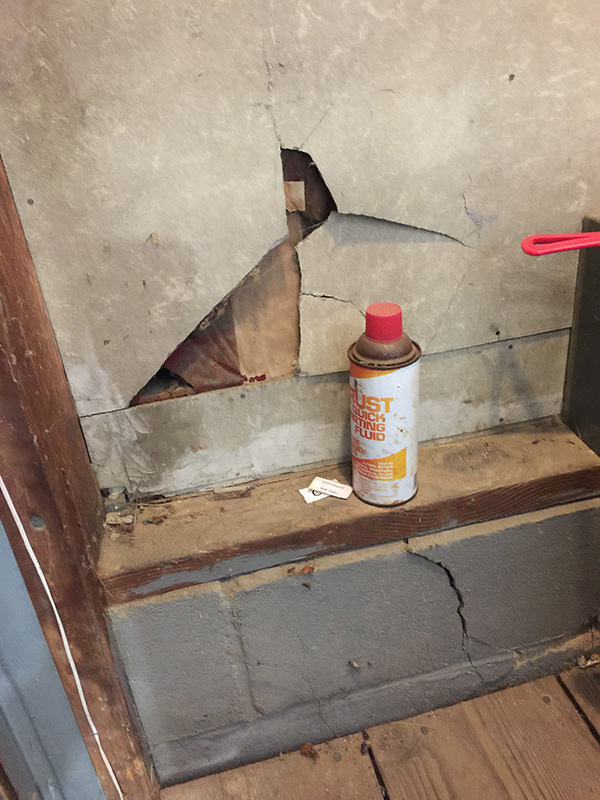 In general, a dust situation from asbestos boards wouldn’t fall under the duties of his department, he pointed out. “If they removed them [the boards], that’s a different story,” he said. Robinson said air testing inside the station is necessary. 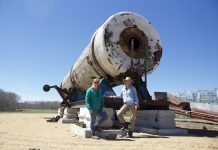 “The only way you’re going to know is to have it tested,” he said. Robinson is also Aquinnah’s emergency management director, and a former environmental consultant who used to work in the oil and gas industry. 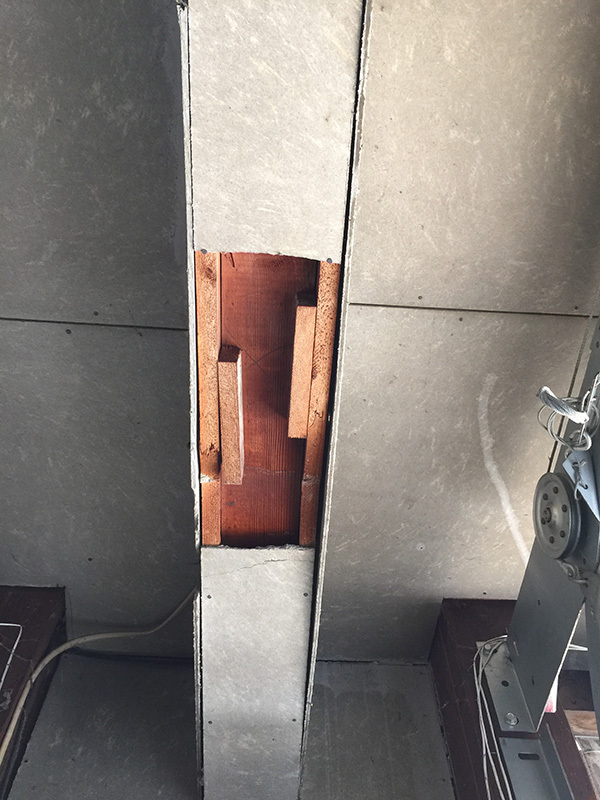 Boards used in the inside of the station look similar to Transite asbestos boards he saw when working in that industry, he said. However, he stressed, he has no expertise in asbestos. He specialized in Superfund and industrial cleanups, involving petroleum pollutants like PCBs, he said. The proper specialist to evaluate the station is a certified industrial hygienist, he said. If the boards are composed of asbestos, he believes they must be repaired and sealed. He also believes asbestos warning signs would need to be affixed to the building. “If it is [asbestos], then the town would probably be negligent in not addressing it,” he said. 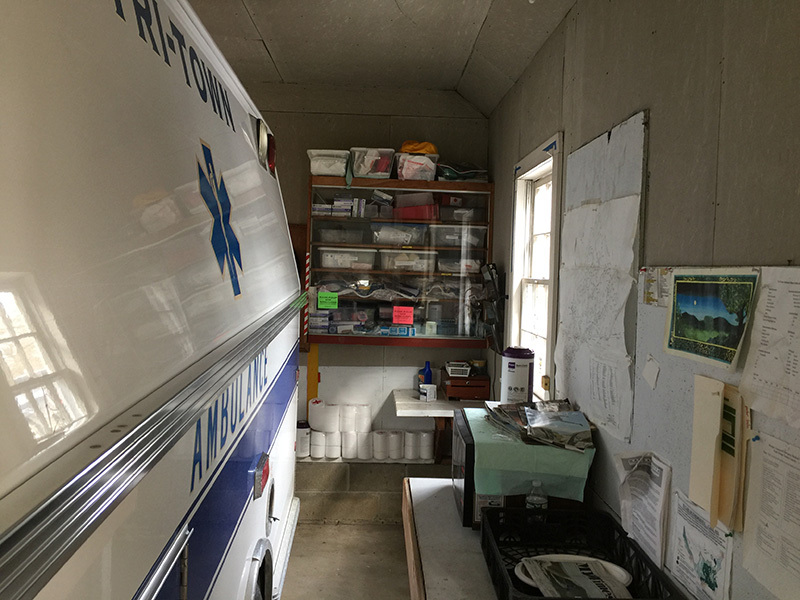 At the end of an Up-Island selectmen’s meeting last Thursday, Chilmark selectman Warren Doty, who is also the chairman of the Tri-Town Ambulance Committee, told The Times the station needs to be demolished. In a telephone interview, Rossi said asbestos in the building is on the selectmen’s radar. “We’re getting prices to remove it completely,” he said, as an interim solution until a new station is built. However, if the remediation is too costly, the possibility exists that the station will be condemned and fire operations may be transferred to the auxiliary station on North Road, he said. A feasibility study is now underway to site a new station behind the old one, in the town hall parking lot, Rossi said. The search for a new site has taken about 15 years, he said. Asbestos was a building product in widespread use until the 1960s when manufacturers began to phase it out after its carcinogenic nature came to light, National Fire Protection Association (NFPA) engineer Robert Solomon told The Times. At the time, asbestos was used because it insulated and was fire resistant, he said. Asked if there is any use for it in contemporary fire stations, Solomon said: “The broad answer is no. To the best of my knowledge it’s completely non-existent in new construction today.” He added that it’s also not used in fireproof clothing for firefighters. But he pointed out that if it’s in a workspace where it’s being struck or subject to any kind of physical damage, then removal or sealing is advisable. “If it’s airborne, it’s a problem,” he said. Equipment clutter exacerbated by tight quarters is also a problem in the station. “There’s no clear path to anything, except maybe the bathroom on a good day,” the chief said. 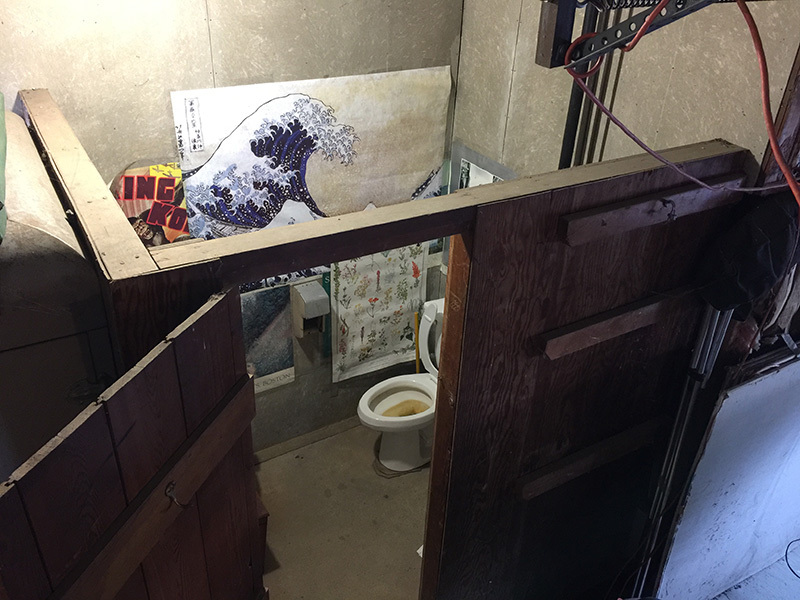 As to the bathroom, an exposed stall behind Engine 122, female firefighters and EMTs tend to avoid it, and use the restrooms next door at town hall, the chief said. She confirmed female emergency personnel seek bathroom facilities elsewhere “or if it’s an emergency, you go where you have to go.” Mastromonaco, who is also the town’s beach superintendent, said she lets her colleagues into town hall from time to time to use the bathrooms. Mastromonaco described the water as unfit for coffee making or even washing equipment. Sometimes the firefighters do use it for cleaning things, she said, but they are forced to fill buckets outside with a hose to do so because of the weak water pressure inside. A lot of cleaning is done with bottled water, she said. Water presents a different sort of issue after a heavy rain, she said, because the floor of the station’s bays flood and then won’t drain. The building’s phones are in such poor shape that they “sound like they’re underwater,” she said. 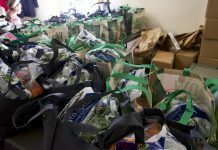 The station’s congested bays, she said, are not only a hindrance to movement but an ongoing blow to the department’s spirit. “It’s hard when people work in a volunteer position and don’t feel comfortable and organized. I think it also affects morale,” she said. Mastromonaco said she works primarily upstairs in the office where “it’s really hard to keep it clean because of the dust.” She described a sash window shimmed open with a barbeque fork as the primary source of fresh air. Wow! The new firehouse has been in the works for 15+ years??? That in itself is incomprehensible for one of the wealthiest towns in the commonwealth. What about the health of the towns firefighters? What about not having reasonable co- ed bathroom facilities? What about no way to clean contaminated equipment & clothing? What about the Chief’s health issues? I don’t believe “another” study is needed. Action is needed!!! Get the new station built!! Somewhere, in a land far away, there must be public officials who are competent to do the job for which they are elected. “Studies” are usually code for “distancing accountability”. 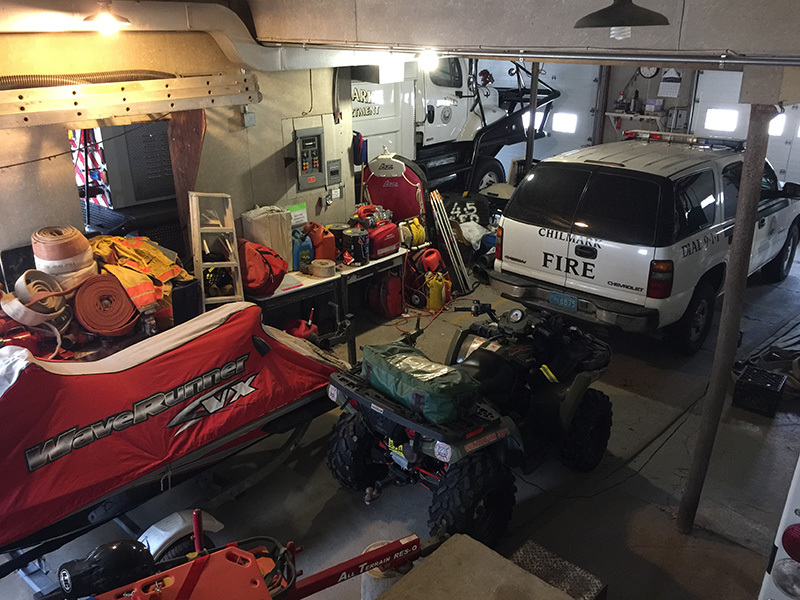 I’ve got a better garage than the Chilmark FD. If the verybigs want to study something, come see our million dollar fire house on Chappaquiddick. Pretty sad state of affairs in Chilmark….. This has been talked about longer than 15 years. The town leaders have continued to put it on the back burner. A school need to be built, a library, addition to town hall, middle line road and the harbor. Than a second housing project at nabs corner was done. Talks about a new fire station were happening more seriously than ever except the talk was shifted to a “bridge” and now a second housing project is in the works. When will these people that turned their second homes into their main home realize they should solve this or be thinking of put a sprinkler system in their home. What about smaller stations built local and traditional that fit in with the neighborhoods. Like what was done for the north road station to be built. Does the Health Department now consider itself notified?